The Wadena County Historical Society (Museum and Historical/Genealogy Research Center) is a non-profit organization that primarily relies on membership dues, memorials, funded in part by the county and city, memorials, the proceeds from our Foundation that is managed by the Minnesota Community Foundation, and donations for support. The remainder has to be earned with several fundraisers throughout the year. The society is looking forward to annual events of a lasagna fund raising supper, Old Fashioned Pie and Ice Cream Social, President’s Day Sloppy Joe Luncheon, Christmas Past Tea/Open House, Food of our Fathers - Historic Harvest Supper, an open house at the Old Log Museum at the Wadena County Fair with a theme of "Good Ole School Days" this summer, June-July Archaeology at Old Wadena, Shell City Bus Tour, Theodore Roosevelt Biographical Exhibition from Texas, If Only These Walls Could Talk Display, Women Who Shaped Verndale Display, and entertainment at our April Semi-Annual Meeting and October Annual Meeting. The Historical Society is located at 603 North Jefferson on Highway 71 next to the Armory. The 1886 court house tower on the grounds was part of the original court house and an exact replica in our Courthouse room which is 5 feet tall; 1896 barn wall in our Country Store Room. Come and see the Two Nations Indian Village in the lower level and the Commercial historic switchboard. 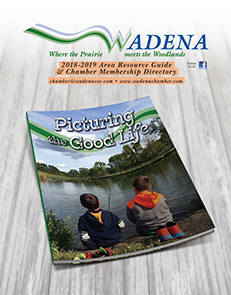 There is a large collection of photographs (4,000) related to Wadena County. There are also , plat books, artifacts and over 23,000 obituaries. The Wall of Fame in the Zosel Research Room includes approximately 400 family histories. A Hall of Fame for our Wadena County service people is being built. The Reaserch Genealogy Roomis newly painted with MN Traveling Art pieces displayed. The public is able to search into the past using the Ancestry.com site. A photocopy of history, photos, and obituaries can be obtained with a standard research fee. 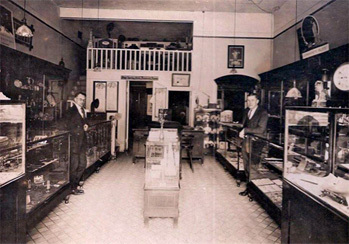 The Historical Society is the primary source for county history and genealogy. Self guided tours and meeting rooms are available. The Traveling Trunk Education programs are presented to grade school students in the county, senior citizens in the county and adult programs are available upon request. The museum at 603 N Jefferson is open from 10a.m. to 3p.m. Tues, Wed and Fri and Thurs 4 p.m. to 7 p.m. and by appointment on the weekends and evenings.